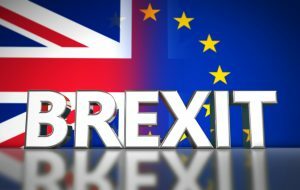 OK, no matter how you voted, if you’re looking to buy or sell a property, you’ll be wondering how the UK’s recent vote to leave the European Union will affect the market. There’s been a range of predictions and comments from experts, some reassuring, some terrifying. Zoopla predicted a £53,000 fall in the average UK house price, which would take £1.5 trillion (yes, trillion) off the UK’s housing stock value. This prediction was one of the more extreme, however, with the Treasury also talking about an 18% fall. This 18% drop was compared to the extra gains predicted following a remain vote, making the actual fall a mere 8%. In the main, economists see a range of slight falls, with foreign investor-heavy London bearing the brunt of the losses. Most estimates range from 5% to 10%, which is bearable and easy to recover from. A catastrophic drop in average prices isn’t likely simply because the demand for housing is greater than supply. Prices will remain fairly unmoved, but there’ll be fewer transactions happening. Others believe that prices won’t fall at all but instead will just rise more slowly. At present, properties increase in value by 5% to 10% each year. The Treasury predicted a two-year stagnation period and the National Association of Estate Agents thinks properties will only “lose” £1,000 by the end of 2016. With these comforting (mostly) predictions, whether you go ahead with a sale or purchase depends on why you’re doing it. Investment buyers looking for second or third properties to rent out should probably wait and see. Homebuyers with small deposits – 5% to 10% – should join the queue as well. If, however, you’ve been saving for a while, have a decent deposit or equity and you’re looking for a long-term home, you should just get on with it. These rises and falls are short-term adjustments and won’t affect you in the long run.